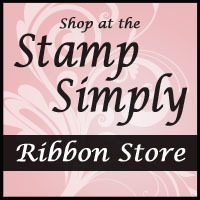 I’m still organizing and making room for more, so today we are featuring cling stamps from a variety of manufacturers. They are all priced at $10 of LESS, and some are far less! 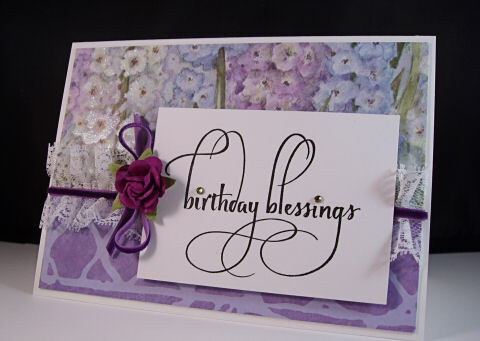 All cards above were made with Small Cling Stamps by JustRite. 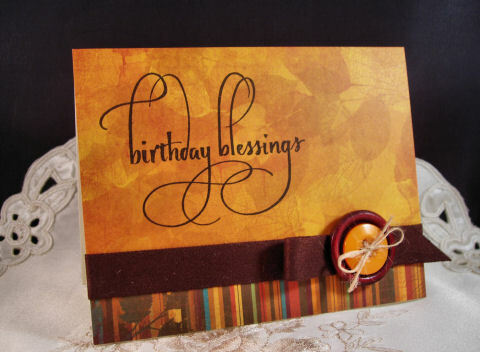 And now I’ll leave you with some birthday cards today. These were all made using the Wood Mount Birthday Blessings by Wordsworth. 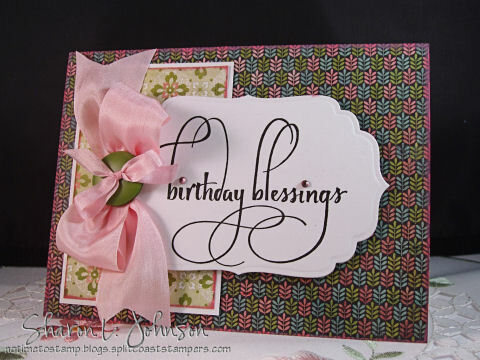 This card is larger at 4.75 x 6.5″ inches to fit perfectly into an A6 Clear Box. 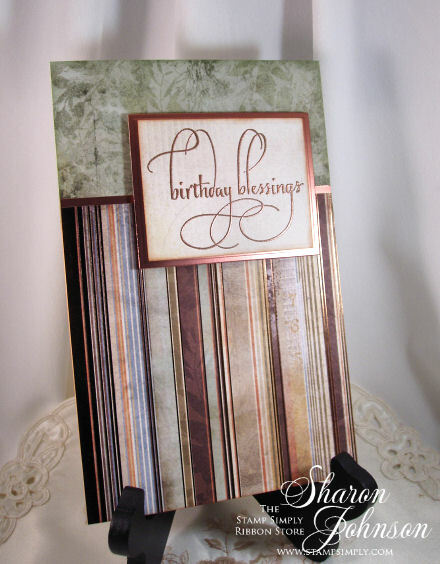 This card is large at 7 1/2 x 5 1/4″. May Arts 1.25″ Tea Dyed Silk Ribbon and Velvet Zig Zag. 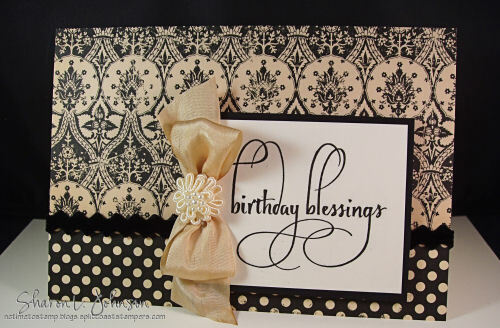 This card is large at 5 x 7.75″. May Arts 1.5″ Grosgrain Stripe and 1.25″ Silk Ribbon. May Arts 1.5″ Delicate Vintage Lace, 1/8″ Velvet, Prima Flower. 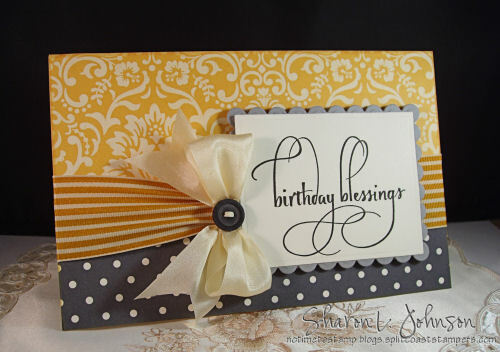 This card is 4.5 x 6″. Retired paper. 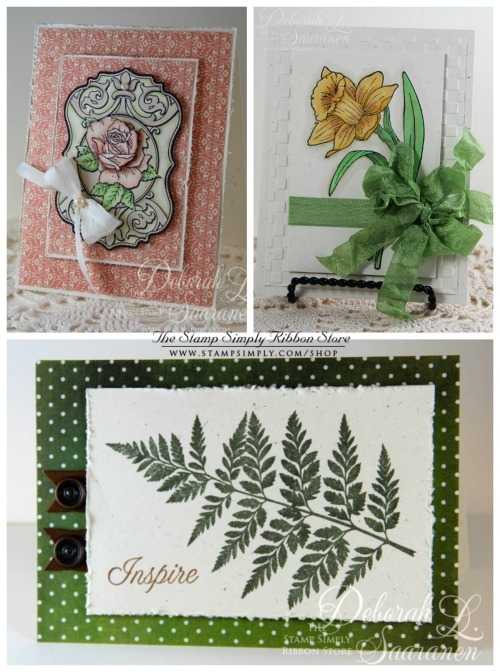 Spellbinders Labels Four. May Arts 1.25″ and 1/4″ Silk Ribbon. This stamp works just as wonderfully for more masculine themed cards. This card is super large, made for our entire congregation to sign. It is a full sheet folded in half, so it’s 5.5 x 8.5″. Retired designer paper. Copper metallic cardstock. VersaMark Ink and Copper Embossing Powder. 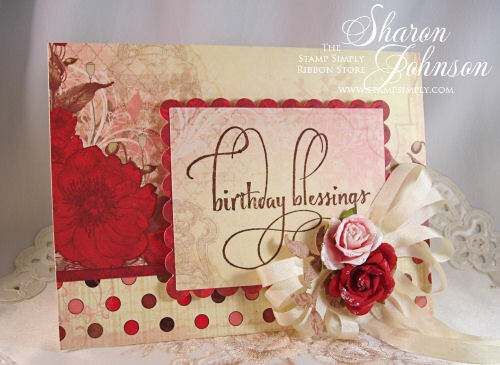 Love all the beautiful cards, thanks for sharing!